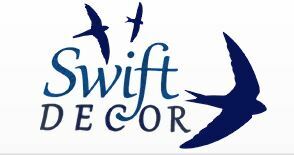 Swift Decor - Painter/Decorator based in Tilehurst, Berkshire. SWIFT DECOR are Qualified Painter and Decorators in Reading and Berkshire. Swift Décor is a highly professional painting and decorating service based in Reading. We are City and Guild qualified decorators. With over 33 years of trade experience, we pride ourselves on offering high quality decorating at realistic prices. Our customers are always impressed with our ability to be invisible and contain ourselves to the room that we're decorating. The majority of our customers ask for repeat services.